Department of Health staff wished to use systems modelling to discuss acute patient flows with groups of NHS staff. 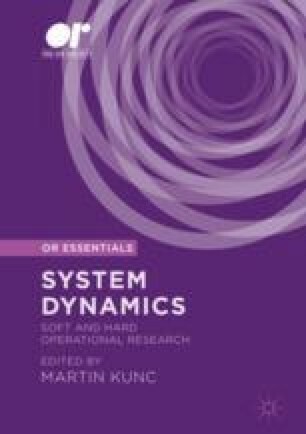 The aim was to assess the usefulness of system dynamics (SD) in a healthcare context and to elicit proposals concerning ways of improving patient experience. Since time restrictions excluded simulation modelling, a hybrid approach using stock/flow symbols from SD was created. Initial interviews and hospital site visits generated a series of stock/flow maps. A ‘Conceptual Framework’ was then created to introduce the mapping symbols and to generate a series of questions about different patient paths and what might speed or slow patient flows. These materials formed the centre of three workshops for NHS staff. The participants were able to propose ideas for improving patient flows and the elicited data was subsequently employed to create a finalized suite of maps of a general acute hospital. The maps and ideas were communicated back to the Department of Health and subsequently assisted the work of the Modernization Agency.